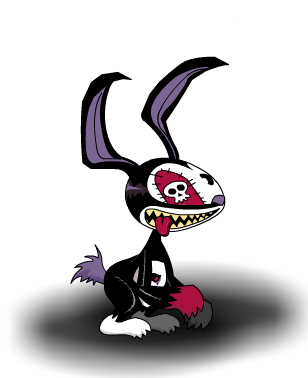 Description: Deady makes a VERY good Bunny! Just make sure he's able to unzip that constume when he needs to or things could get dicey. Unlocked by purchasing one of Voltaire's Sleezter Bunee toys from Heromart.com! Thanks to Iceslide300, mturf and Rezurrect.